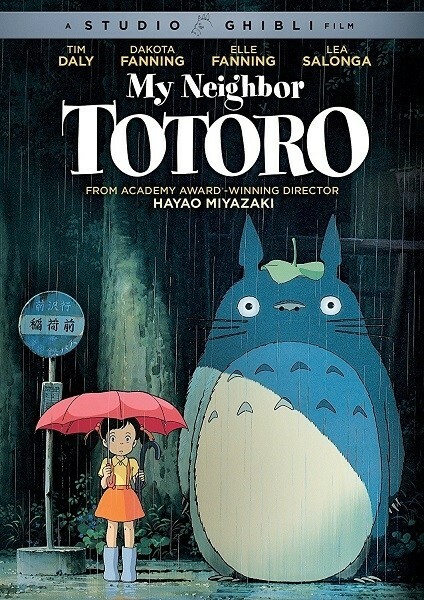 Critically acclaimed as one of the most delightful and charming family films ever, My Neighbor Totoro is a stunning animated treat full of magical adventure from Hayao Miyazaki. Follow the adventures of Satsuki and her four-year-old sister Mei when they move into a new home in the countryside. 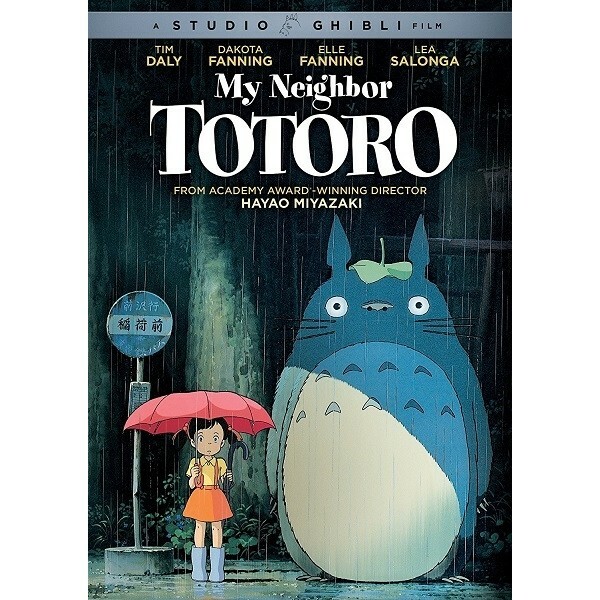 To their delight, they discover that their new neighbor is a mysterious forest spirit called Totoro, who can be seen only through the eyes of a child. Totoro introduces them to extraordinary characters -- including a cat that doubles as a bus! -- and takes them on an incredible journey. Full of wonder and heart, this spectacular 2-disc set features the voice talents of Dakota Fanning and Elle Fanning. My Neighbor Totoro is a magical experience for the whole family! To view our entire collection of Hayao Miyazaki's girl-empowering films, visit our Studio Ghibli Collection. My Neighbor Totoro is that rare delight, a family film that appeals to children and adults alike. While their mother is in the hospital, 10-year-old Satsuki and 4-year-old Mei move into an old-fashioned house in the country with their professor father. At the foot of an enormous camphor tree, Mei discovers the nest of King Totoro, a giant forest spirit who resembles an enormous bunny rabbit. Mei and Satsuki learn that Totoro makes the trees grow, and when he flies over the countryside or roars in his thunderous voice, the winds blow. Totoro becomes the protector of the two sisters, watching over them when they wait for their father, and carrying them over the forests on an enchanted journey. When the children worry about their mother, Totoro sends them to visit her via a Catbus, a magical, multilegged creature with a grin the Cheshire Cat might envy.